Snow falling at Viaduct Harbour in Auckland on Monday 15 August 2011? Amazing, but true. 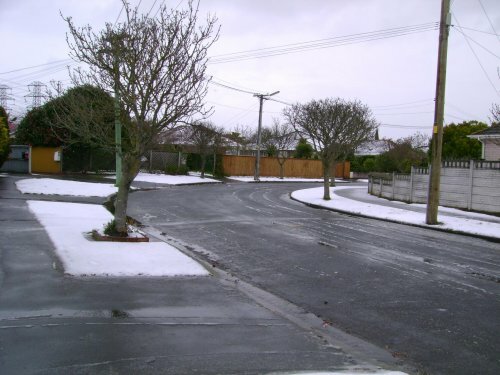 We had some unusual snow in Christchurch a couple of weeks ago, but this time the wild white weather is spread very widely over New Zealand. Two weeks ago, lots of people got out there making some excellent measurements, which I wrote up here, and posted on Google Maps. Once again, I’d love to hear from people who have measured the snow depth at their place — read here to find out how to help. This time, the view down my street is a little less dramatic, but from a national point of view, this is a much more significant event. There’s not much snow on the street where cars have been driving. It’s more interesting to see that the snow is gone from the footpaths and driveways, but still sitting on the grass. At first you might think that could be to do with people walking there, but that’s not the reason here. It’s mainly because asphalt is warmer than grass, so snow melts sooner on asphalt. 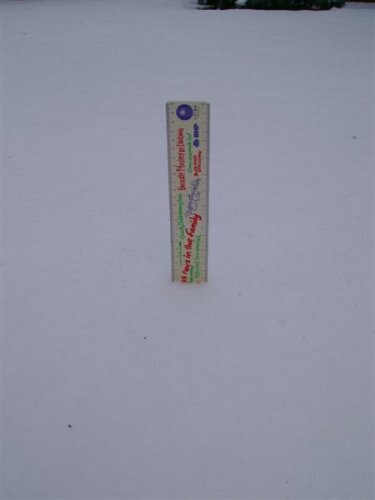 I’ve received supporting measurements of snow depth from adjacent undisturbed areas of grass and roadway; the snow is around 110mm deep on the grass, but only 60mm on the road. One of the reasons why snow depth matters is that snow is a hazard; people fall over, roads are blocked and businesses close temporarily, powerlines and buildings can collapse under the weight of snow. Last year’s September snowfall in Invercargill was so heavy that the stadium roof collapsed, and back in 1993, the Alpine Ice stadium in Christchurch came down, again because of snow on the roof. Society needs information on the frequency of these extreme events to help in the design of structures we build so that our structures are expected to last a long time; for instance the building code specifies the weight of snow that a building should be able to support. So how heavy is snow? 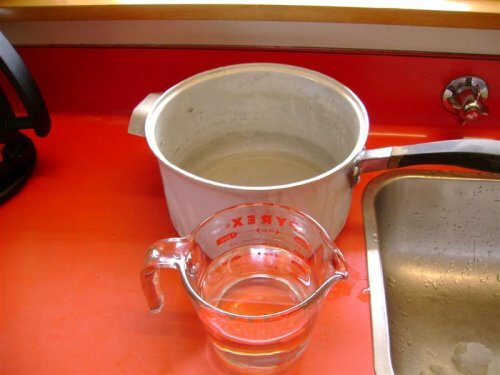 Today I made measurements of snow water equivalent by collecting a known volume of snow in a saucepan, melting it, and measuring the liquid water. The final result: 0.375 litres of liquid water. 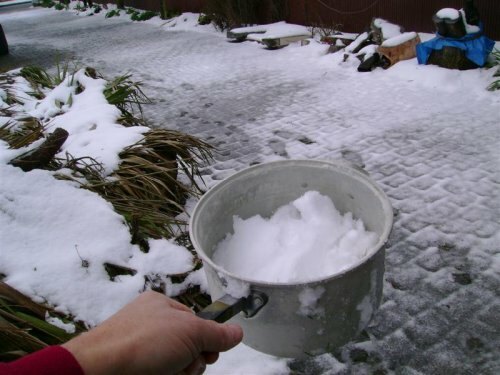 My saucepan sample collected 2.670 litres of snow, and I finished up with 0.375 litres of water. So the water equivalent of my 85 mm of snow was 11.9 mm. That means the snow had a density 14% of that of liquid water. 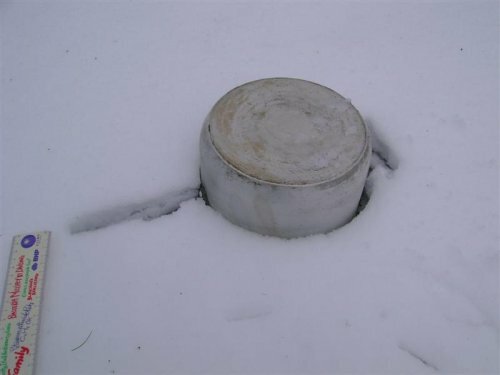 Liquid water is around 1000 kg/m3, so my snow sample was around 140 kg/m3. Very light snow, and since it wasn’t too deep, the total load would be small. NIWA teams are out doing more professional measurements of snow density, using a long tube to collect snow samples, and weighing the tube in the field. 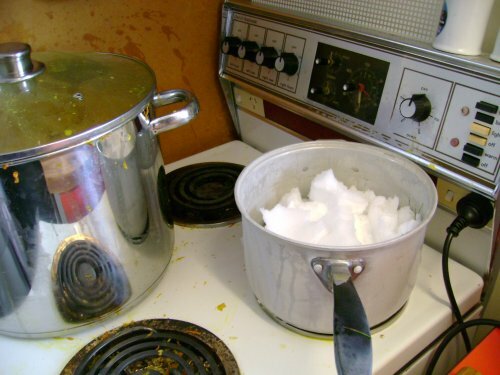 A technical report on the snow from this unusual weather event will incorporate as much data as we can get, from all sources, including the kitchen table scientists! wow, what a prehistoric oven 🙂 we had the same model when i was kid circa 1982….